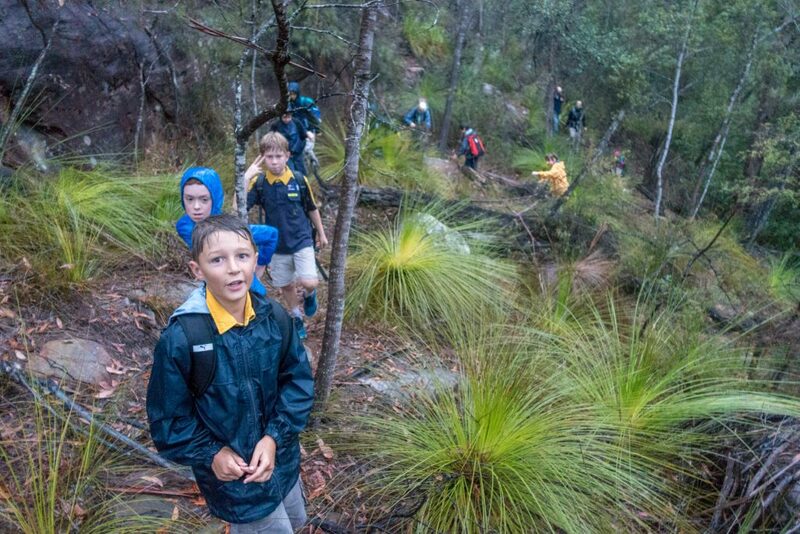 The Cubs were looking forward to the first bushwalk of 2018… so the forecast of some scattered showers wasn’t going to dampen their enthusiasm (I’m not entirely sure if that pun was intended!). A “few showers” ended up being fairly heavy rain that conveniently started just before we set out, and continued throughout the walk: fortunately we the Cubs were all well-prepared for the adverse conditions. Once we reached Middle Harbour Creek, we met up with the Lockley Track which follows the creek downstream. This was much easier walking, although still a rough track that needed vigilance to ensure we didn’t stray off the path, and some clambering over fallen trees and other obstacles. With the light fading (and head torches on) we reached the intersection of our track back up to the ridge. 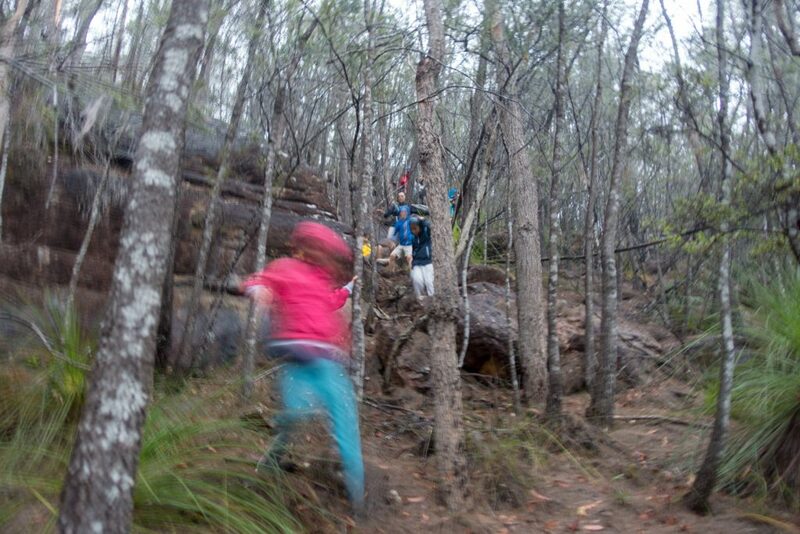 After passing a large rock overhang, the Cubs made sure we followed the faint white arrows marking the trail back up to the Koola Track, completing the 3km circuit through Garigal National Park. We started with 20 Cubs… and finished with 20 Cubs, arriving back at the trail head at exactly 8pm! 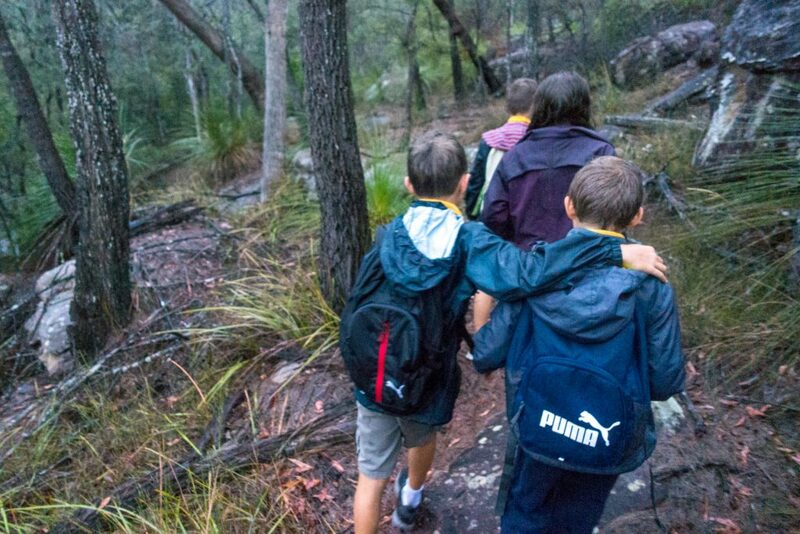 The Cubs all did incredibly well on what was a tough walk, especially with the wet weather. They supported each other and were all well-prepared for the conditions. We’re all looking forward to our next hike!